Heard of Aupres? No? It is a subsiduary brand of Shiseido. 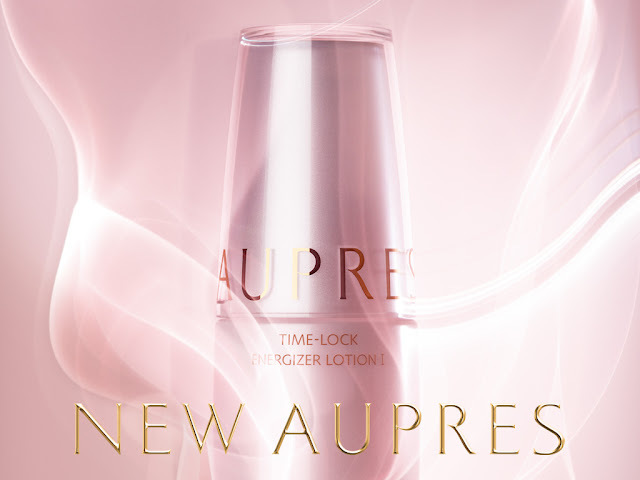 Aupres finally arrived in Malaysia market after successfully made it to the top of beauty brand in the China market. Anyway, Aupres is giving you the chance to try out their products. All you need to do is to head to Pavilion this weekend and look for the Aupres van at the entrance. The Aupres team will conduct an interview regarding your skin condition. Our skin were tested on its moisture level. Apparently Asian have low level of moisture level on our skin. Apparently majority people have the reading of 25-30 for their moisture level on the skin. Christine's skin is pretty healthy here. Mine was 40.9. (My secret is..... drink a lot of water and apply moisturizer all the time). Miraculously the moisture level went up to 69.5. That's about 50% extra moisturized. Since the product effectiveness was proven right in front of me, I asked for a sample. Currently I'm using it now and loving it! If you want to get your skin moisture level tested and product explanation, head to Pavilion entrance and look out for the van. They will be there until 4th November (Sunday). I know that is just tomorrow. If you miss the Aupres van, you can alway go to their counter at Parkson Pavilion and ask for some samples. I'm sure they have it at the counter too.